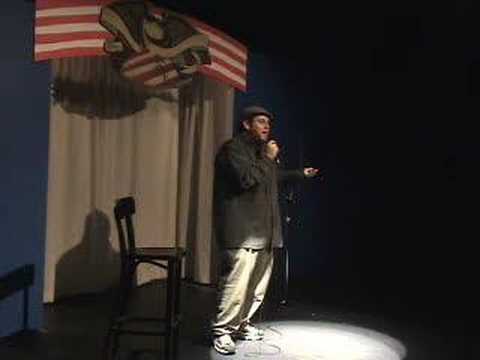 A comedian acquaintance and I were lamenting the challenges of acceptably promoting local comedy recently, and something we both noted was the utter lack of demo clips that are professional and showcase the comedian to his or her best ability. I’ve seen it happen in We Love DC’s very own comment section, where a promising comic gets written off by the commenters after viewing a couple of crappy videos of an open mic that takes place in an echo-y classroom on some college campus. The problem, of course, is that it’s hard to get a decently produced video until you’re performing in clubs, and it’s hard to get booked in clubs without a decently produced video. But that’s a rant for another time. 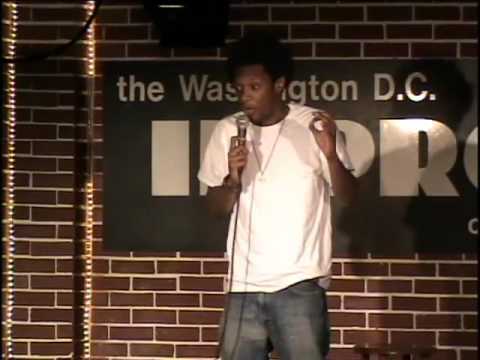 So I decided to stay up late and find you some videos of comics who have made me fall out of my seat laughing. 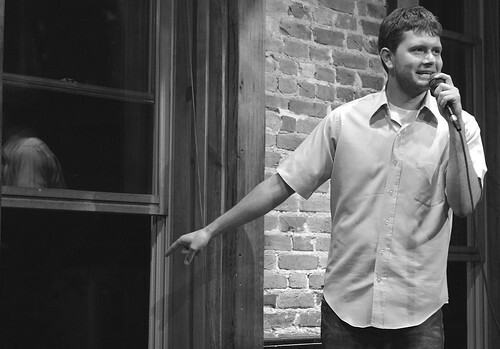 Most have been produced well, so that you can evaluate the comedy without being distracted by poor sound, a room unsuited for comedy performance, or other factors that frequently beset eager young comics. Put your headphones on if you’re at work, though. Maybe you don’t want your boss hearing this. Good stuff by most of the comedians except for the last guy who basically stole Demetri Martin’s act. Use of an easel and giant notepad for visual jokes was hardly invented by Demetri Martin. Agreed, but the first impression that I get when I watch that guy’s clip is that he is basically copying Demetri Martin. It’s his style and delivery not just the use of an easel. I can’t be the only one who see’s this? I just think I don’t throw accusations of “copying” around. There are only so many comedic styles after all (hell, there are only so many jokes), and while the Insult Comic, the Degenerate Comic, and the Angry Comic get used all the time, it’s bound to happen that the more unusual styles will get adopted and used by more than one person. It’s normal that delivery would be similar just because there’s only so many ways you can say, “No Left Turn is too negative” and have people laugh at the punchline. When you get right down to it, stand-up jokes have only a few, very predictable structures that just get dressed up. Sort of like there’s only so many ways to make a grilled cheese sandwich, and anything unusual people do to them is really just dressing up that basic structure. I saw a guy at an open mic a couple of weeks ago whose whole act was extremely evocative of a less-successful Mitch Hedberg- the one-liners, the weird strung-out cadence, the goofy laugh in between jokes… but that persona is easy to adopt even if you’ve never seen Hedberg, because it’s a cultural type we’re all familiar with. The idea to make visual jokes on a notepad has occurred to anyone who has ever been to elementary school. Just because one guy got a TV show doing it doesn’t mean no one else gets to experiment with that form. 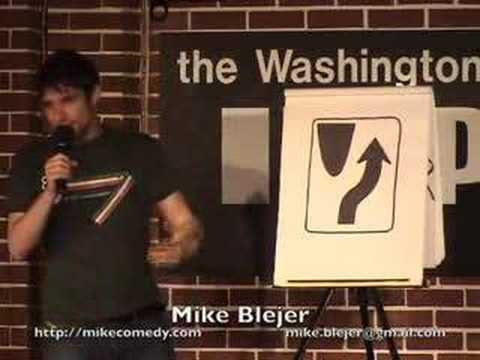 Most comedians in DC that know Mike Blejer think he is a copycat of Demetri Martin. The fact that he is an utter smug d-bag in person made him extremely unlikeable during his stay in DC. Me: Everything was just terrific. Oh man! Thanks for the cover, Tiff. Still probably not posting a good clip anytime soon. Career suicide? Absolutely.